Historically, the people of Intibucá have suffered from terrible dental health. More than simple cavities, many people have lost half their adult teeth by age 20. Toothaches are the number one reason children stay home from school, and oral infections can lead to serious emergencies. Dental necessities we often take for granted – toothbrushes, toothpaste, and floss – are often considered luxuries to families struggling to feed themselves and their children. The water in the area does not contain natural fluoride to prevent decay, and chronic malnutrition fosters dental disease. With the long-standing support of dedicated dentists and contributors, we offer state-of-the-art dental clinics in both Santa Lucia and Concepción that are among the best in Honduras. 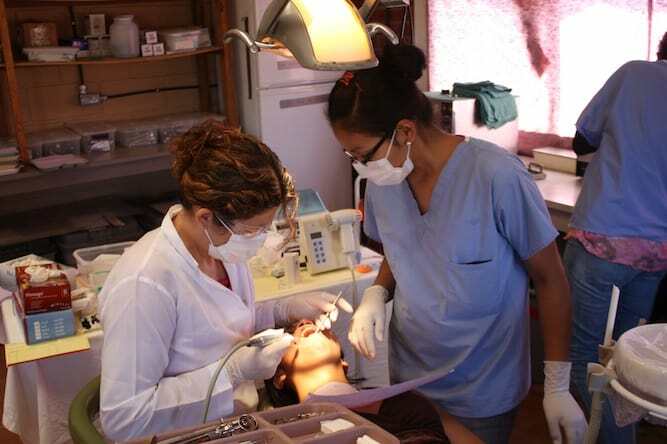 Our Honduran dentists and dental assistants provide a wide variety of restorative and cosmetic dental procedures. The offices feature dental x-rays and computerized dental records and tooth charts. In 2012, our dentists saw 3,286 patients and performed 4,333 fillings and 1,709 extractions. The fee schedule is subsidized by donations and represents a fraction of the retail cost of the work performed. In addition to the work done in the clinics, we operate a prevention program in 12 area schools. This consists of a dentist visiting the class three times per year to apply fluoride and screen children for needed restorative work. The children are brought into the clinic for any needed procedures. In 2012, we saw 421 children in Santa Lucia and performed 253 extractions, 1,299 fillings, 1,475 sealants to prevent tooth decay, and 1,320 fluoride treatments. In Concepción, where we have had a longer presence, we have seen 280 children, performed 171 extractions, 314 fillings, 718 sealants, and 354 fluoride treatments. Today, nearly all of the students in the program are cavity-free. Young patient presents with two grossly decayed teeth. Normally in rural Honduras, these teeth would have been extracted. Young patient post-procedure with a healthy smile. Every donation of 1000 Lempiras (US $50) treats one child’s dental needs for an entire year. 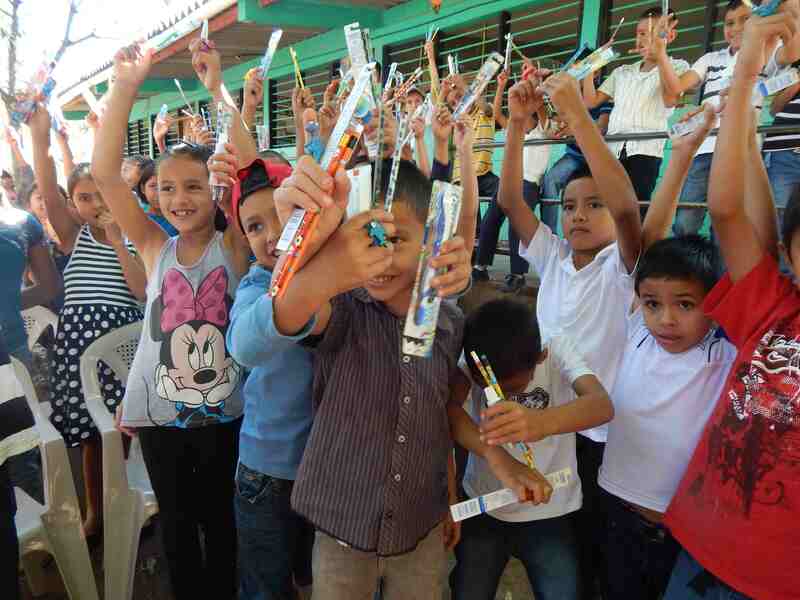 This provides students with ongoing education programs for oral health, annual checkups, all needed dental work, fluoride varnish applications three times a year, and a toothbrush. We also have a teacher and parent education program to instill proper dental health in children’s role models.